Aleksandar Brkic, ANCER Co-coordinators, Lassalle College of Arts, Singapore. Dr Aleksandar Brkić is a scholar and lecturer in the fields of Arts Management and Cultural Policy. His area of professional practice is that of an arts manager and creative producer working in the intersections of performing arts, visual arts and design. Dr Brkić is the co-coordinator of Asia Pacific Network for Cultural Education & Research (ANCER) and a guest professor at the Scene Design Department at the Faculty of Technical Sciences at the University of Novi Sad in Serbia. He is also the founder and an arts manager at the art production company Eighty Ten (80⏐10) from Belgrade. Prior to moving to LASALLE, Aleksandar was a lecturer/researcher at the UNESCO Department for Cultural Policy and Management at the University of Arts in Belgrade, and a part-time/guest lecturer at number of academic programmes in Serbia. He worked as a cultural policy researcher with the Council of Europe and ERICarts – European Institute for Comparative Cultural Research; the Institute for Theatre, Film, Radio, and Television, Faculty of Dramatic Arts in Belgrade; and Department for Architecture and Urbanism, Faculty of Technical Sciences, University of Novi Sad. Currently, he participates in the ISCH COST Action IS1007 / Investigating Cultural Sustainability, a scientific project funded by the European Union, and is a co-recipient of LASALLE College of the Arts research fund together with professor Ruth Bereson to undertake research leading to the development of an Ontology of Arts and Cultural Management Education. Dr Brkić received a UK Government Chevening scholarship, as well as a research scholarship from the Ministry of Science, Republic of Serbia. In 2011 he was the winner of the Cultural Policy Research Award (CPRA), administered by the European Cultural Foundation (ECF) and European network of Cultural Administration Training Centers (ENCATC). 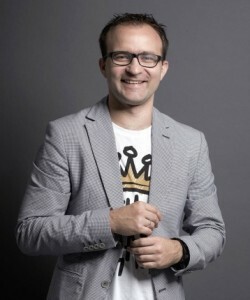 Aleksandar has more than 10 years of professional experience as an arts manager, working for the cultural/arts institutions and organizations in Serbia (BITEF, National Theatre in Belgrade, Atelje 212, YUSTAT, Studio Berar, KIOSK), as well as the project manager connected with the well known international art platforms (i.e. national exhibitions of Serbia at the Prague Quadrennialand the Venice Biennale). He worked extensively as a trainer in Project, Events, and Strategic management in Serbia, Bosnia, Macedonia, Romania, France, UK, Kyrgyzstan, Cyprus, etc. His consultancy and advisory portfolio includes European Cultural Foundation; European Expert Network on Culture; Banlieues d’Europe; Ministry of Culture, Republic of Serbia; Secretariat for Culture, City of Belgrade.